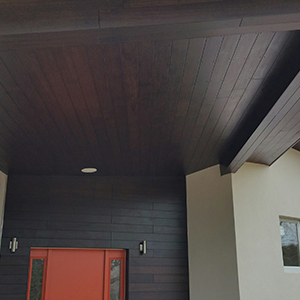 Why Choose dassoXTR Exterior Bamboo Building Materials? As a world leader in the development of innovative bamboo products, dassoXTR has been at the forefront of advances in the use of bamboo as a highly durable outdoor building material. In fact, dassoXTR is the only bamboo product with a proven track record for use in both commercial and residential construction and remodeling projects. To learn more about the benefits of choosing dassoXTR for your next building or renovation project, below are answers to a few of the most commonly asked questions about dassoXTR. What is dassoXTR Fused Bamboo®? 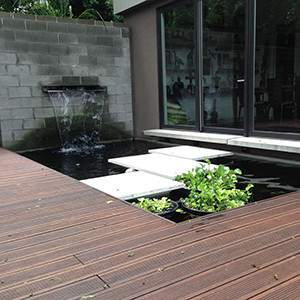 How is fused bamboo different from traditional bamboo decking? Why is dassoXTR’s fused process so effective? How does dassoXTR compare to other exterior building materials? Is dassoXTR considered an environmentally friendly product? Does dassoXTR include a factory finish? 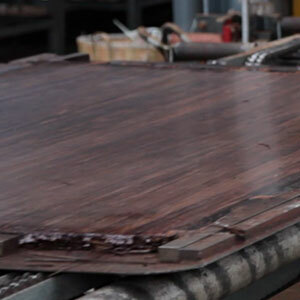 How long will the factory-finish on decking last? Do I have to finish dassoXTR? What type of exterior finish is recommended? Why are dassoXTR boards all 6’ long? 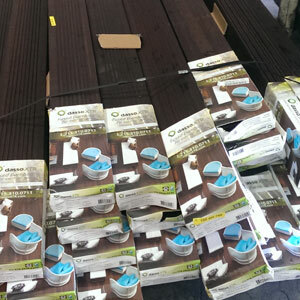 Explain dassoXTR’s bamboo decking end-matching system. Is the product in the United States? Where can I buy dassoXTR? What is the manufacturer’s warranty on dassoXTR? How do I fasten dassoXTR decking? Does dassoXTR need to be predrilled? What is it like to work with? Are there any special considerations? Does it move (expand and contract)? Why is dassoXTR bamboo a benefit to the installer? Q: What is dassoXTR Fused Bamboo®? A: dassoXTR Fused Bamboo® is manufactured using dasso's patented process, which combines two stages of high heat to first carbonize the bamboo, removing all of the starch and sugar, and then restructure the bamboo, reinforcing its natural strength characteristics. The modified bamboo strands are then fused together using phenolic resin – the same resins used to make bowling balls. The result is an extremely dense, durable exterior-use product composed of 87% natural, fused strand bamboo fibers and 13% resin (or as we like to say, 13% bowling ball). 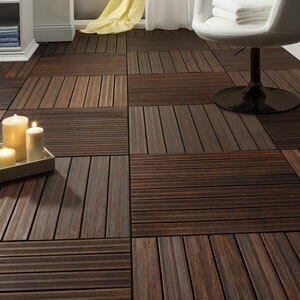 dassoXTR Fused Bamboo looks and acts much like other natural hardwood products, specifically Ipe hardwood. But, because our patented Fused Bamboo does not include rays or knots like natural woods, dassoXTR Fused Bamboo has a much more flawless appearance and resistance to shrinkage than other decking materials made from woods. This consistent grain structure also allows dassoXTR to distribute weight very evenly, adding to its durability. 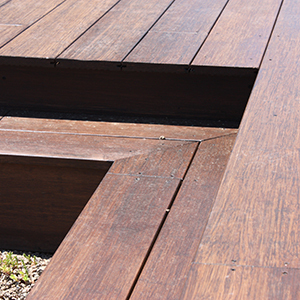 Q: How is Fused Bamboo® different from traditional bamboo decking? A: There are a number of processes that can be used to turn stalks of bamboo into planks for decking. Most manufacturers either take long strips of bamboo and laminate them together or shred the bamboo and compress it with glue. 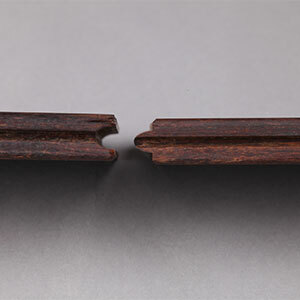 Both of these processes lead to a product that doesn’t hold up well when exposed to weather: laminated bamboo strips are prone to cupping and separating, while compressed shredded bamboo is often brittle and will quickly degrade when exposed to the elements. Q: Why is dassoXTR’s fused process so effective? A: During the patented fused process, sugar and starch are extracted from the bamboo fiber, leaving only the bamboo cell wall. Without these nutrient and food sources, fungus will not attach to the bamboo cells and grow, thereby eliminating the breakdown of the cell walls – which is the cause of rot. 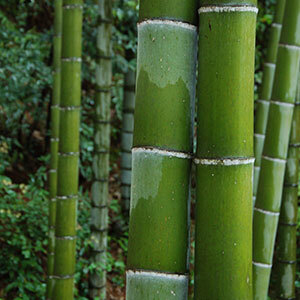 Without a nutrient source, insects also are not attracted to the material, which further protects the bamboo from decay. 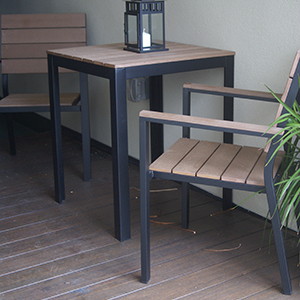 All bamboo must be carbonized, or heat treated, before it can be used outside. However, when bamboo is heat treated it gets very brittle. dassoXTR’s patented process eliminates this issue by applying a second heating stage. During this stage, lignum, a natural binder found in the bamboo fiber, is melted and reset, returning the bamboo to its natural rigidity. This increased strength produces a denser, harder board, while still maintaining bamboo’s natural characteristics. Q: How does dassoXTR compare to other exterior building materials? 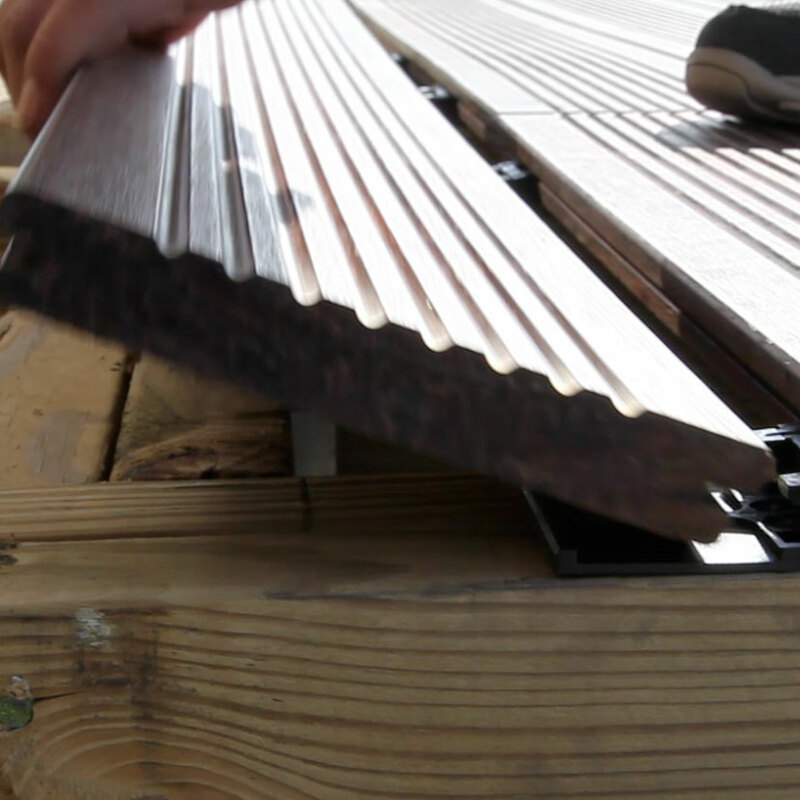 A: dassoXTR’s remarkable durability makes it a unique material for use in outdoor construction materials, including decking, siding, and furniture. 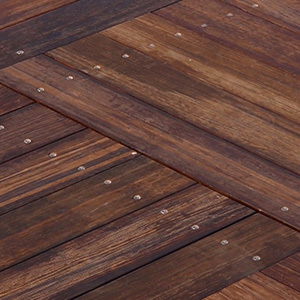 In fact, dassoXTR fused bamboo is among the stiffest and strongest decking materials in the world and is even more dense than Ipe – a natural wood that is widely accepted for outdoor use. dassoXTR products are also Class A Fire rated using C NFPA and IBC Classifications tested to ASTM E-84-12 and decay and insect resistant (including resistance to termites). Tested in accordance with International Code Council (ICC) standard AC174 for exterior decking, dassoXTR has been approved/accepted as a product suitable for exterior usage. To find out more about how dassoXTR stacks up against other popular decking materials, see dassoXTR vs Other Decking Materials. Q: Is dassoXTR considered an environmentally friendly product? A: Yes. Unlike most hardwoods, which must grow for 50 years or more before they can be harvested, bamboo is a fast-growing grass that can be harvested every 5-7 years. 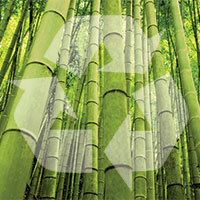 This makes bamboo one of the most environmentally friendly and sustainable building products available. As a product made from a rapidly renewable material with a harvest cycle of less than 10 years, dassoXTR is eligible for an MR-6 LEED Credit, which is the highest credit available for renewable materials. In addition, the resins used to create dassoXTR are thermal setting and non-reversible, which means no fumes are released into the atmosphere. Thus, dassoXTR contains no volatile organic compounds (VOCs). Q: Does dasso.XTR include a factory finish? A: dasso.XTR decking, porch flooring and siding receives one coat of WOCA exterior oil at the factory, which gives the boards their color and provides some surface protection. The lumber and panels come unfinished and need to be finished after installation/application. Lumber and panels are to be considered as "rough and unfinished" requiring further processing to get a final product. Q: How long will the factory-finish on decking last? A: The first coat of WOCA exterior oil typically wears off the board faces during or shortly after the construction phase and when exposed to sun, rain, dirt, and wear. Q: Does dasso.XTR material fade? A: dasso.XTR behaves much like a natural building material. 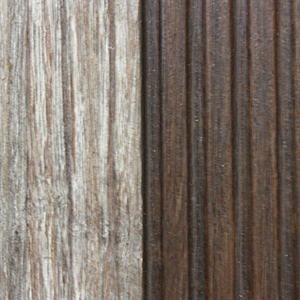 If left untreated, including when the decking's first oil coat wears off, boards will eventually turn a silver-grey patina, usually after about 12-18 months. Therefore, dasso.XTR needs to be maintained similar to exotic hardwoods. 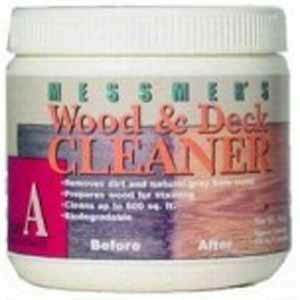 Please see our section on Finishes, Sealers and Cleaners to learn more. Q: Do I have to finish dasso.XTR? A: If you want the material to turn silver-grey, then no additional finish is needed. 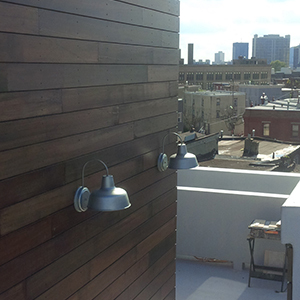 However, we recommend applying a penetrating finish soon after installation for UV protection. Please see our section on Finishes, Sealers and Cleaners to learn more about timing and types of finishes..
Q: What type of exterior finish is recommended? A: We recommend using a finish much the same as those used on tropical hardwoods – either a penetrating oil or a synthetic surface finish. A: Evaluate finish each spring and maintain as needed, following the finish brand’s instructions. Finish durability depends upon weather, wear and other local conditions. 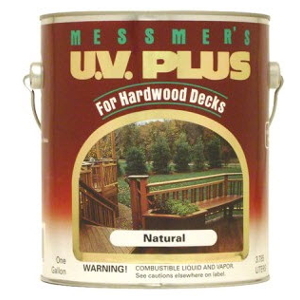 A penetrating oil finish typically lasts 1–3 years on decks and 2–4 years on siding, a synthetic surface coating/stain typically lasts 1–2 years on decks and 1–3 years on siding. Q: Can dassoXTR be recycled? A: dassoXTR is made of 87% bamboo strand and 13% Phenolic Binder, both of which are basic molecules the majority of which are made of carbon (minor Hydrogen, Nitrogen and Oxygen). The material during its lifespan can be recycled, sanded and resurfaced to make into non-structural components. At the end of the life cycle (50 years), the material can be buried for natural disintegration or burn to char. Char is a reaction where the molecules are changed to carbon, a basic natural element. The Phenolic binder when exposed to extreme heat give off trace values of toxic fumes. That’s why Phenolic binders are used in the building of planes and in the aerospace industry (rockets) - because it does not burn and it turns to carbon in the form of Char. Majority of the fumes release are CO2, Nitrogen and water. Q: Why are dassoXTR boards all 6' long? A: Our patented fused bamboo technology produces strands of bamboo that are uniform in length – full 6’ strands. Compared to other hardwoods sold in random lengths, dassoXTR’s standard 6’ lengths mean less planning, layout time, and cutting, and shorter boards are much easier to maneuver. 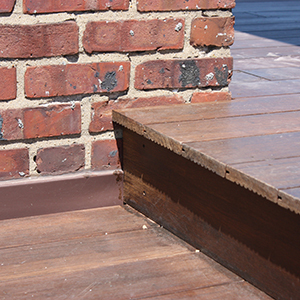 DassoXTR planks have tongue & groove ends, called end-matching, which adds tremendous strength to the entire decking system by locking all the planks together. Q: Explain dassoXTR’s bamboo decking end-matching system. 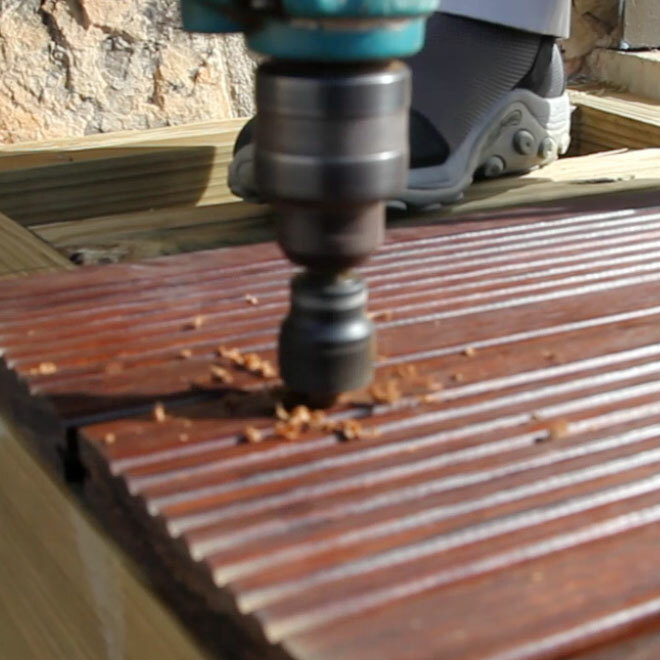 A: All of our bamboo decking includes a unique tongue and groove End Match System, whereby each board is end-matched for ease and improved quality of installation. This allows a better aesthetic because end joints are not required to meet "on a joist" thereby offering a more random pattern. Not having to meet all the deck boards on a few joists, and showing an unappealing all-board-ends-lined-up with the joists installation problem, allows you to save time and money on installation. 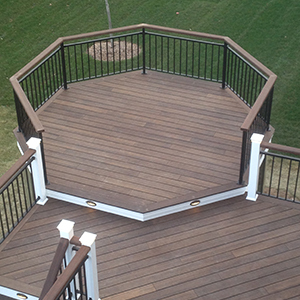 It also produces a stronger, more beautiful-looking deck with flawless, consistent coloration. In addition, all boards are side grooved for hidden fastening but can also be face screwed and plugged instead. Boards are available in single-groove or double-groove constructions and offered in a reversible profile that is smooth on one side and reeded on the other, offering you a choice of two installation options – smooth side up for a sleek look, or reeded face up for a more textured style. Q: Is the product in the United States? A: Yes, we currently stock dassoXTR in Atlanta, and more is arriving in New Jersey and Oregon. Q: Where can I buy dassoXTR? 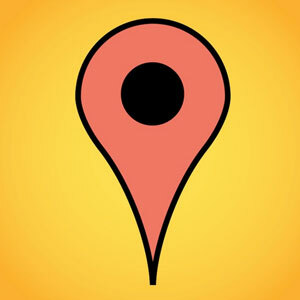 A: We have a dealer locator on our site and a Rep locator if a dealer is not available in your immediate area. Q: What is the manufacturer’s warranty on dassoXTR? 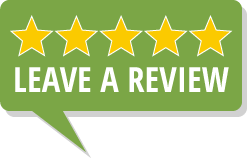 A: We offer a 20-year limited warranty against material defects in workmanship and warrant that the material will not suffer structural damage due to rot, decay, or termites for that period of time, as long as it has been installed and maintained according to our guidelines. 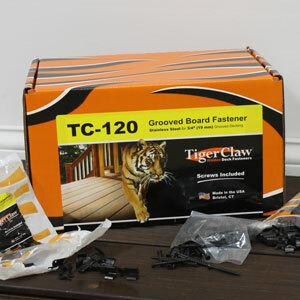 Q: How do I fasten dassoXTR decking? A: dassoXTR is pre grooved for a hidden fastening system. We recommend using Tiger Claw TC-120 clips, which are black-plated, 304 stainless steel clips. Each pack covers about 50 square feet. Boards can also be face screwed and screwed and plugged. We offer the Starborn Pro Plug System along with Starborn black-painted stainless steel screws for face screwing applications. Other clips and screws are available on the market. When using another clip, check the depth setting of the spacer to ensure there is enough room. Q: Does dassoXTR need to be pre-drilled? A: Yes, dassoXTR is as dense as Ipe if not more and therefore does require pre-drilling before using any screws. Q: What is it like to work with? Are there any special considerations? A: dassoXTR mills, works and maintains similar to that of Ipe of other tropical hardwoods. Unlike Ipe, dassoXTR bamboo is not toxic nor allergenic. Also Ipe splinters can rapidly fester. Q: Does it move (expand and contract)? A: dassoXTR does expand and contract but minimally, which means the product is stable enough to be used indoors. Q: Why is dassoXTR bamboo a benefit to the installer? A: Color Range predictable. Supply, quality & price predictable. The patented fusion process produces very hard AND very straight boards. Unlike other decking companies there is no need to always have the ends of the planks on the joists because of DassoXTR's end matching gives joint stability over the entire span. End matched! Did we mention the logic of end matching?! No crane for high rise delivery. One person job in most cases - and leave the pry bar in the truck. Most likely less waste; less defecting because it’s consistent in color and straight, and less cutting waste because its end matched. Co-ordinating panels, lumber, siding, decking and porch flooring for the whole job. Green, no Lacey Act compliance vagaries, no “well, its rainy season in the jungle” delays for your customers to be concerned about.